evident by the fact that ZTT doesn't have "cases". Hey. So, just wondering.. This is the first case where it is confirmed that Tsutomu is alive right? AKAI REI wrote: Hey. So, just wondering.. This is the first case where it is confirmed that Tsutomu is alive right? 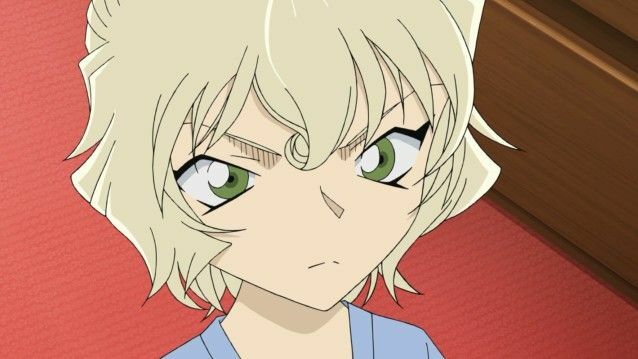 Even if Mary wasn't lying to Masumi about her reasons for going out that day, it's unknown if she actually met him or if she was tricked by the BO into thinking he'd be waiting for her. However, as of now, I'd say he is alive. 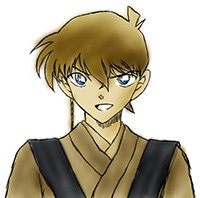 After Masumi first mentioned his death (Bowling Alley Murder Case – 859–861/744–745), Gosho then got evasive about answering the question of whether he was dead or not. Then, it was revealed that his body wasn't found (Ripples – 972–974/881–882). And if this is the reveal we're going to get, then it wouldn't be the first time an apparently long-dead father character turned out to be alive (Toichi Kuroba). Because Gosho just doesn't want them (Shinichi/Conan and Mary) to willingly reveal themselves to each other at this point, I suppose. "changes are bad, m'kay, so, if you like changes, you're bad, m'kay, because changes are bad. they can hurt your mind, m'kay, cause changes are bad, m'kay..."
But in short just look at Game Company Murder Case and Reunion with the Black Organization and how they end. Conan breaks the sacred covenant of the series and people die. Haibara at the end of the latter is even a mouth piece for Gosho stating that "this is why changing the status quo is no good". But I have yet to see a canonical moment where keeping a secret led to a massacre in the same vein as those episodes. And that interpretation and perception of him is going to stick for you until he actually launches us into the endgame (of the Rum arc and/or the entire story). I don't think he thinks change is a horrible thing to be avoided—he just doesn't want to do it yet. It simply must not be high on his priority list, at this point—it's more that, rather than him preserving the status quo because he really, really wants to and really, really detests change. He did reveal his identity to Eisuke but Eisuke put him in a situation (on purpose or not) where he had to reveal his identity somehow. Otherwise, he wouldn't have done it. 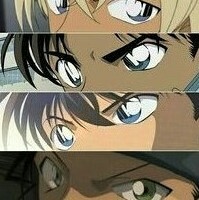 Even if Sera has showed many times to Conan that she knows he's Shinichi, he still doesn't want to admit because no one should know his true identity, that's how it is from the beginning. But well, I have to say it's quite pointless to hide it from Sera or even from Akai who both know without doubt that Conan=Shinchi. Incomplete-tantei wrote: He did reveal his identity to Eisuke but Eisuke put him in a situation (on purpose or not) where he had to reveal his identity somehow. No he really didn't need to. Conan did it to cockblock him and no other reason.